Meanwhile, cook the kale for 2 to 3 minutes in a large pan of boiling water. Drain and refresh under cold running water. When cold, drain thoroughly and squeeze out the excess water with your hands. Whisk all the dressing ingredients together in a small bowl. 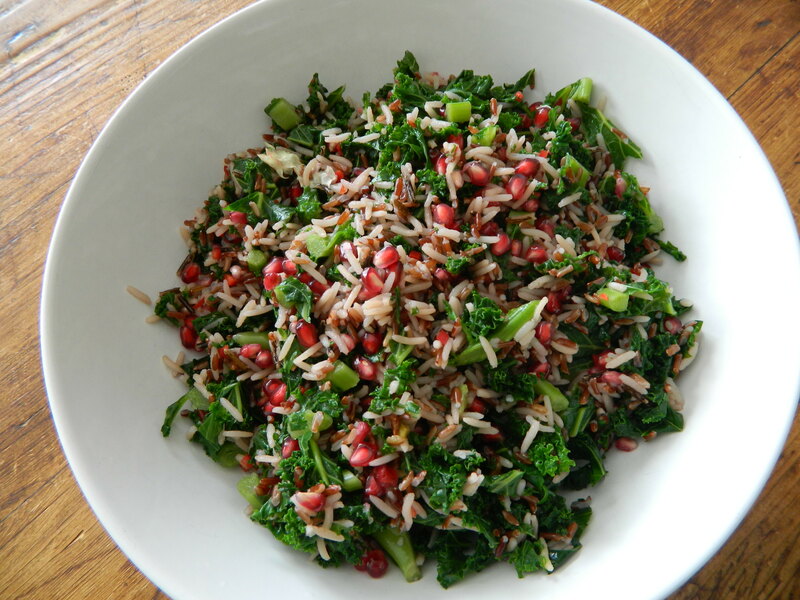 Put the drained rice in a large mixing bowl and add the kale, herbs, chilli and half the pomegranate seeds and walnuts. Pour in three-quarters of the dressing and mix everything together thoroughly. Tip the salad on to a serving dish and pour over the remaining quarter of the dressing. Top with the remaining pomegranate seeds and walnuts and serve immediately.